Sharing of self, using our gifts to help others, reaching out to neighbors and developing relationships, sharing our faith by words and actions with the support of prayerful “senders”………that is what mission means to me. I was blessed again with the opportunity this past January to be part of an enthusiastic short-term mission team to Danli, Honduras. While we were billed as a “veterinary team”, less than half of us were veterinarians. The rest were there to offer their assistance however possible. Randy Doutt and myself from St. John’s, Franklin joined a team composed of 7 veterinarians, 1 vet technician, and 8 helpers (willing laymen, spouses and 1 teenager). We had all volunteered to work with SAMS (http://samsusa.org/) missionary Jeannie Loving to supplement some of the spotty veterinary services in the church communities where she serves. 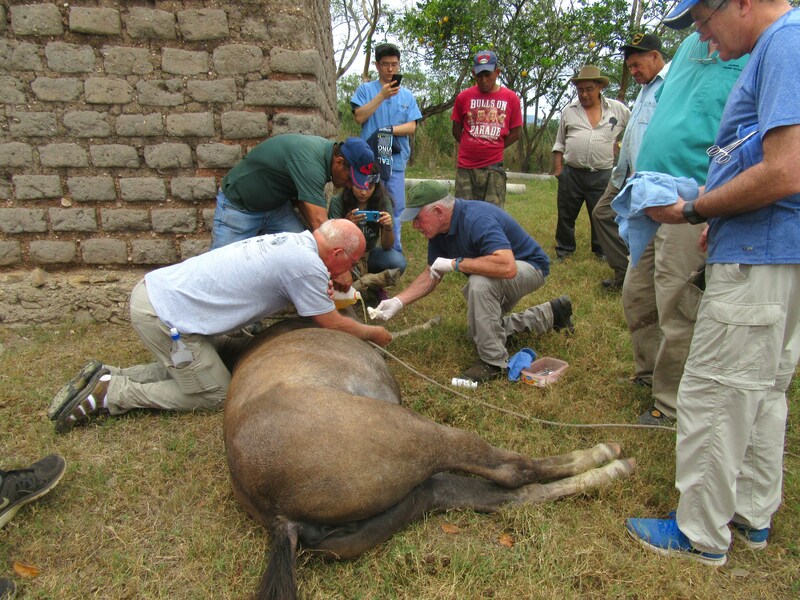 Veterinarians were recruited by Christian Veterinary Mission (https://cvmusa.org/), an inter-denominational mission group. We were joined by several individuals willing to help in any way that they could, and their efforts were invaluable to the success of the mission. The “helpers” led devotions, prepared team lunches, lassoed cattle, carried supplies, sorted and loaded equipment and medications, performed crowd control, and helped with the construction of a newly planted church. With the addition of 3 local drivers and 2 student interpreters from St. Mary’s Episcopal School in Tegucigalpa we were a large enough group to split into two work teams. We began each day with a morning devotion, followed by breakfast and then traveled to one of the more rural communities near Danli. 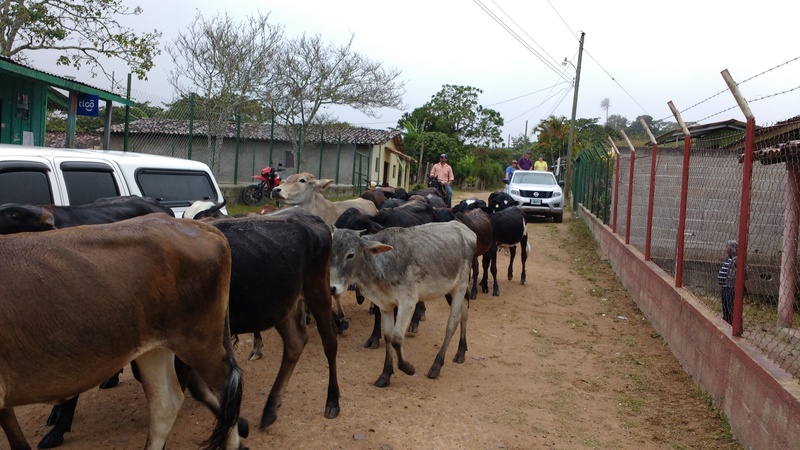 One of our teams would care primarily for livestock while the other was mainly engaged with pet animals. (note: “pet” has a totally different connotation in a poor, rural, third-world area than the image of a pampered, American house pet). Animals were driven, dragged, and carried to our work areas throughout the day. During our stay we were able to provide medical or surgical services to over 1800 animals. Some of the men also spent a few days working alongside local villagers to construct a newly planted church in a previously unserved community. Perhaps more enduring than the animal care are the relationships that our team has built. 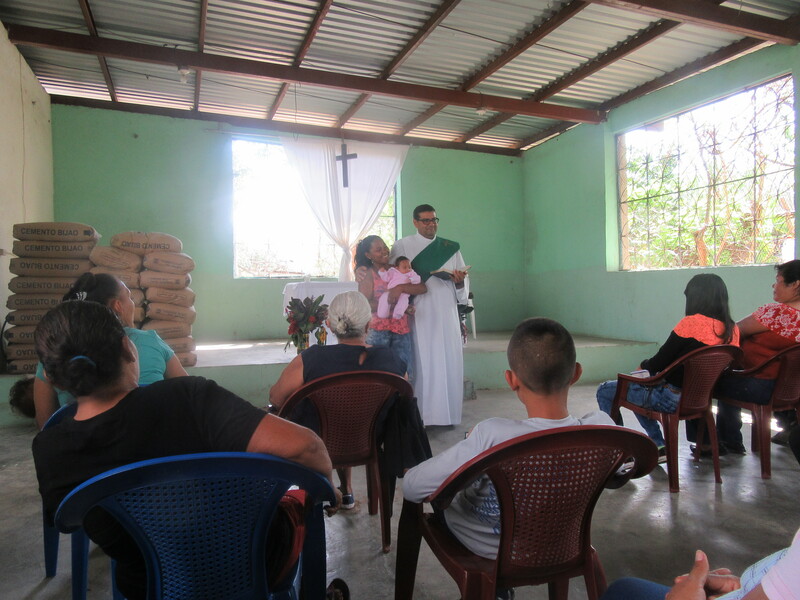 We work primarily in villages where the Diocese of Honduras has a church presence so we are supporting the work of the local missionary and clergy. Many areas are used to seeing mission groups swoop in once and never return, but the people that we have worked with have learned to know us and we them because we have returned to the same location annually over several years. Because we have been consistent over time we have developed friendships and trust. One of the highlights of our 10-day mission is always having the opportunity to participate in Sunday church services alongside the local people that we have been serving. This past year we received communion together with the new congregation of Iglesia de Santa Maria Magdalena. We worshiped in the same open-air community center where we had spayed dogs just a few days before. Following the church service, the community proudly led us to the foundation of their new church, which some of our team had helped to construct and which they hope to complete before we return next January. Surely one of the blessings of this outreach endeavor was in the participants working hard each day to totally use all of their gifts and knowledge and strength for the benefit of their Honduran neighbors. This is one case where the cliché was absolutely true: We did receive much more than we gave. Dan Paulo and his wife Kathy are members of St. John’s, Franklin. 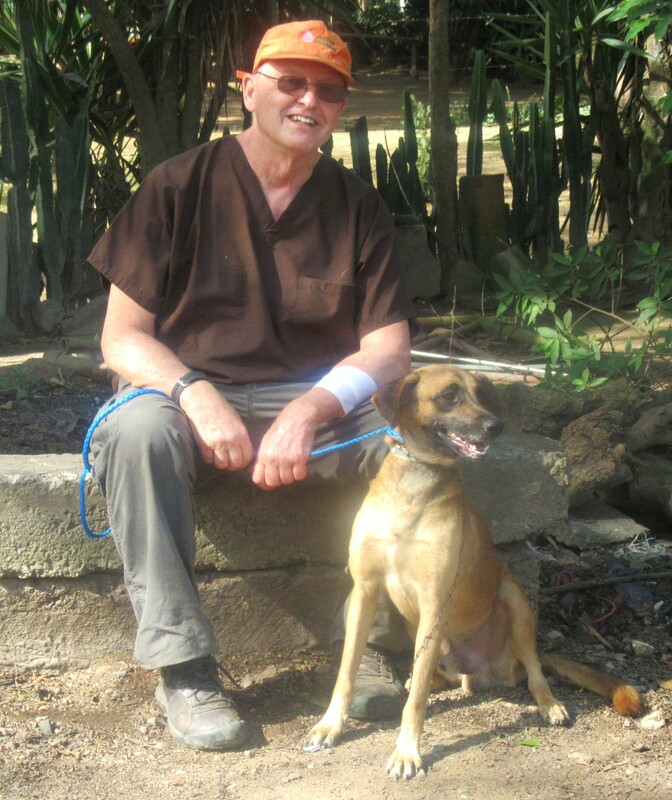 Dan is a retired veterinarian who has long been interested in mission, and has made multiple mission trips to Honduras, as well as Haiti, Bolivia, Ethiopia, Mongolia, and Nigeria. This entry was posted in discipleship, Mission, One Church, service and tagged Dan Paulo, Franklin, Honduras, mission, St. John's. Bookmark the permalink.